Women's Handmade Heart Necklace : LOVE2HAVE in the UK! 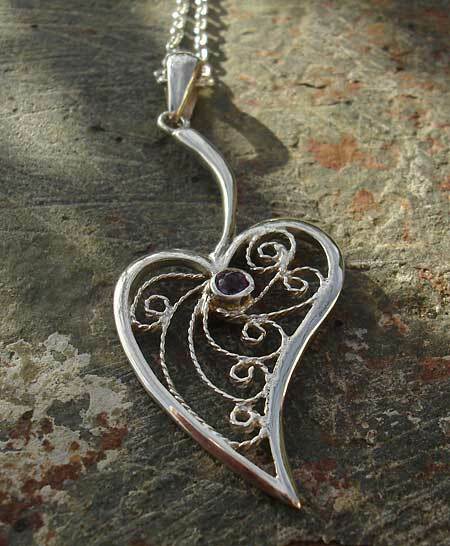 This delicate women's silver heart necklace is handmade using the very ornamental and intricate technique of filigree decoration, which involves the careful placing of fine twisted silver wires to fill the outer shape. Each piece is individually handmade here in the UK. 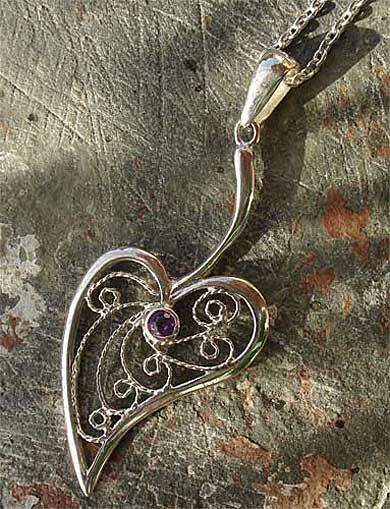 The pendant has an attractive twist shape to it and comes with a purple amethyst set towards the top as pictured. The heart measures approximately 23mm x 16mm, threaded onto an adjustable chain, worn at about 16 to 18 inches long. It comes finished in a polished finish. 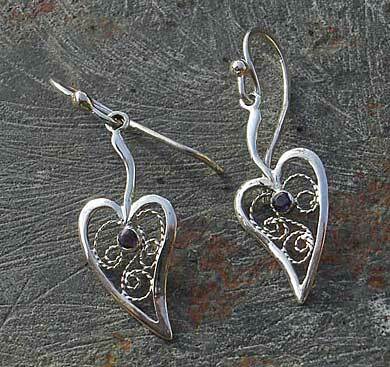 An exquisite and romantic gift to be given in love.